PRODUCT CODE: 05226/00 DETAILS: 25 g Lip Shine Circle is a creamy lip gloss, containing silicone, for brilliant and lustrous effects with protective and soothing vitamin additives. Add to wishlist What it does: Shine with Himalaya Herbals naturally glossy Litchi Shine Lip Care. Our luxurious lip balm moisturizes your lips to keep them soft and supple. What it does: Shine with Himalaya Herbals naturally glossy Litchi Shine Lip Care. Our luxurious lip balm moisturizes your lips to keep them soft and supple. Kyra liquid shine lip gloss glides succulently scented ultra flossy lip shine over your favourite lipstick or wear alone for a wash of shimmering color. 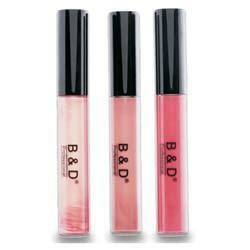 - Portable shimmery lip gloss lightly infused with a delicious blend of guava and passion fruit. Wear alone for a soft shine or over lipstick for extra shimmer. - Opthalmologist and clinically tested. An Avon first! Transfer-resistant lasting liquid color with luscious plumping shine. Your full pout stays put...and lips stay kissably perfect up to 8 hours! Base coat, .135 fl. oz. Top coat, .035 fl. oz. Apply color for all-day wear. Add clear gloss for lip-plumping shine. Our new dazzling True Shine lip glosses drench your lips in brilliant shine and a burst of juicy color that's never sticky. Loaded with crystal brilliance, they glide on smooth with a silky brush that's specially designed for perfectly even application. Just one stroke will give you glimmering, shimmering lips! We are leading dealers in offering an extensive range of shine liquid gloss.